Finally it’s spring! The temperature is beginning to be just right for me. Flowers are also beginning to bloom. 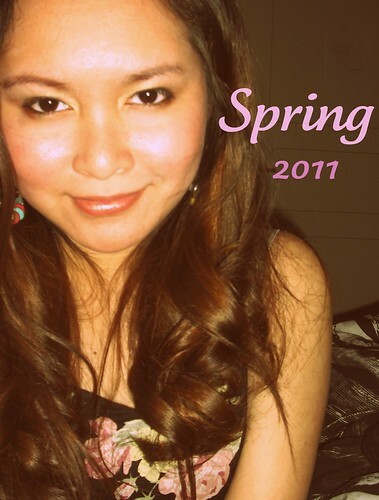 For my spring look, I opted for a natural but a bit shimmering look. I used a light shimmering yellow eyeshadow around the inner corners of my eyes to get that blooming effect and I used a dark rose eyeshadow on the outer corners of my eyes and also mascara and eyeliner. For the face, I used a bb cream , compact powder, bronser powder and a blush powder. For the lips, I used Eos lipbalm and my favorite lipgloss. Thanks for dropping by 🙂 Have a nice day!